This page will provide you with some information to learn about how Social Security determines if you are disabled for Social Security Disability Insurance (SSDI) or Supplemental Security Income (SSI). Social Security’s definition of disability in SSDI or SSI is the same. It is the inability to engage in any substantial gainful activity (SGA) by reason of any medically determinable physical or mental impairment(s) which can be expected to result in death or which has lasted or can be expected to last for a continuous period of not less than 12 months. Social Security Follows a Five (5) Step Sequential Evaluation Process in reviewing disability claims. Click the link in the previous sentence for more details about the 5 step process. Then watch the video below for a more general overview of the application and appeal process. Should I Hire a Disability Attorney to File a Claim for Disability or Go It Alone? Statistically, the majority (over 70%) of all Social Security Disability and SSI claims are denied at the initial application level. Approximately 88% continue to be denied at the Reconsideration level, which is the first level of appeal. Click here for a visual chart of Social Security’s allowance and denial rates for 2012 at each stage of the application process. An attorney can help prepare you case at each of these levels to help improve your chance of winning at each of these levels. An attorney can help you gather the medical record evidence that will be critical in establishing the severity of your condition. An attorney can also help you obtain opinions from your treating medical providers that will be important in establishing your resulting impairments. 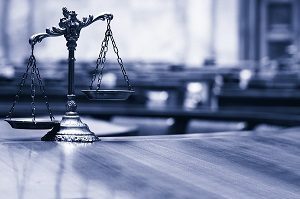 However, even with an attorney, most Social Security Disability Insurance (SSDI/SSD) and Supplemental Security Income (SSI) claims must continue on to a hearing before an Administrative Law Judge (ALJ) in order to be approved for disability benefits. It is at ALJ hearing level that having an experienced disability attorney can really help win a claim. 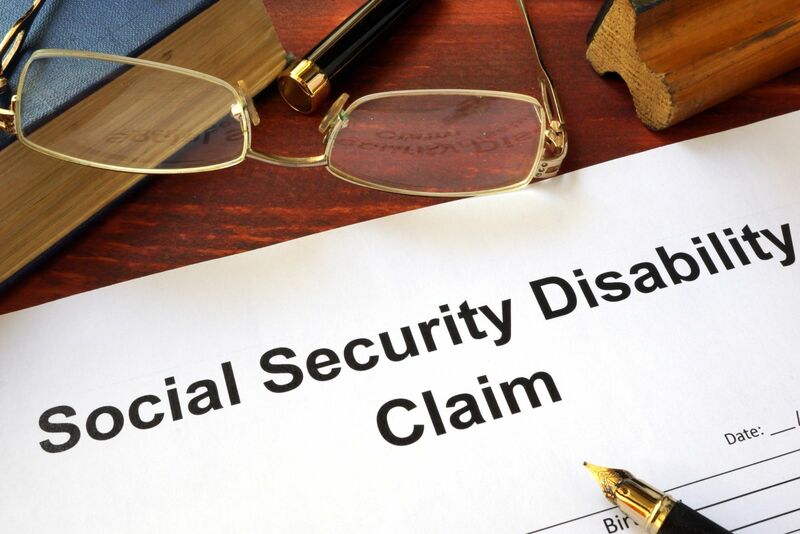 While no disability attorney can guarantee that a claimant will be awarded Social Security Disability or SSI benefits, an experienced Social Security lawyer can guarantee that a case will be properly “developed” prior to your hearing date. The simple fact of the matter is this: even after scouring the internet and reading up on disability claims, the vast majority of SSDI and SSI claimants will have no idea how to thoroughly and properly prepare a disability claim for a hearing. By comparison, an experienced attorney should have a high level of familiarity with Social Security’s policies, procedures, rules and regulations. Here at the Ortiz Law Firm, Mr. Ortiz has several years of invaluable SSDI and SSI claims experience to lend to his clients’ disability cases. He knows what a judge will be looking for with respect to a particular medical condition, and will know what questions to ask your doctor(s). Because disability attorneys are paid on contingency (only if you win), they work hard to ensure that an SSDI or SSI claim will have the best chance of winning. These responsibilities include tracking down important medical records and test results, obtaining detailed opinion statements from a claimant’s treating physicians and other medical providers, and applying a thorough understanding of SSA regulations and prior rulings to the entire disability adjudication process. You must weigh the risk of going unrepresented to a hearing when your future income and health insurance (Medicare or Medicaid) is literally at stake against the percentage of your backpay that you’ll have to pay an attorney if you win (25%, limited to $6,000 for Social Security cases). Click here to learn more about how disability lawyers are paid. Although an attorney is never required in an administrative disability claim (an appeal to federal court is the exception), going to a hearing before a judge without the assistance of an experienced disability attorney can result in a lost opportunity to win disability benefits. You do not need to know your exact earnings history to file for disability. However, if you really want to know your reported earnings history you can request a copy of your Social Security earnings history from the Social Security Administration (SSA). Up until just recently you could do so by filing a Form SSA-7004 (Request for Social Security Statement). In light of the current budget situation, however, SSA has suspended the Request a Social Security Statement service. One of the top reasons applicants are denied Social Security disability benefits is because the claimant failed to complete his or her application! People frequently ask me, “How can a person fail to complete the application?” If I had to venture a guess, I would say that some claimants fail to complete the application because of all the work that is required to file a claim. Perhaps it would be easier to explain this by detailing what information is required to file a disability claim with the Social Security Administration. There are three ways that you can apply for disability benefits: on the internet (online), in person, or on the telephone. When you file a claim either in your local field office or by telephone, a Social Security representative will interview you and complete the application for disability benefits and the Adult Disability Report. Even if you choose an application interview in person or on the telephone, you can greatly reduce your interview time as much as 50% by starting the process online. You can complete both the application for benefits and the Adult Disability Report online by going to SocialSecurity.gov. You still need to keep your scheduled appointment with your local field office so a Social Security representative can review your information. You can apply for disability via the internet by visiting SocialSecurity.gov. Review the Adult Disability Checklist. Fill out the Disability Benefit Application. Fill out the Adult Disability Report. Fill out the Authorization to Disclose Information Form and mail or take it to your Social Security Office. The first thing you should do is call Social Security’s toll-free number, 1-800-772-1213, to set up an appointment for someone to take your claim over the telephone. If you are deaf or hard of hearing, you may call Social Security’s toll-free TTY number, 1-800-325-0778. The disability claims interview typically lasts from one to three hours, depending on how well prepared you are for the interview. If you schedule an appointment, Social Security will send you a Disability Starter Kit to help you prepare for your disability claims interview. The Disability Starter Kit also is available online at Socialsecurity.gov. For your information and convenience I will list much of the information you will need to gather below. Again, you should call Social Security’s toll-free number, 1-800-772-1213, to make an appointment to file a disability claim at your local Social Security office. In the greater Pensacola area, you may call the Pensacola office directly at 1-877-505-4550. To apply for disability benefits, you must complete (1) a Social Security Benefit Application, (2) an Adult Disability Report, and (3) an Authorization to Disclose Medical Records. The Authorization is a one-page medical release that gives Social Security permission to request your medical records from your doctors. The Social Security Benefit Application is your claim for benefits. It does not take very long to make a claim. The real time-consuming part of a disability application is the Adult Disability Report, which collects detailed information about your personal history, work history, medical history and current disability. If you cannot complete the Adult Disability Report online, you can still complete Social Security’s (1) Medical and Job Worksheet (“Worksheet”) and (2) Checklist – Adult Disability Interview (“Checklist”), and have them ready for your appointment. I made a shortcut web address for the Worksheet and Checklist, which you can access at SSA.gov. Medical records already in your possession. (You do not need to go out and gather all of your medical records. You only need to gather what you already have. Social Security will help you obtain the rest of your medical records.). Workers’ compensation information, including the settlement agreement, payout ledger (distribution), date of injury, claim number, and proof of other disability awarded payment amounts. Names and dates of birth of your minor children (under 19 years old) and your spouse. Dates of marriages and divorces. Checking or savings account number,including the bank’s 9-digit routing number, if you want Direct Deposit for your benefit checks. Name, address, and phone number of a person Social Security can contact if it is unable to get in touch with you. If a medical release Form SSA-827 (Authorization to Disclose Information to the Social Security Administration) was mailed to you by Social Security, complete (sign and date with witness signature) and return it as directed. As stated above, if you are unable to file for benefits online, complete the “Medical and Job Worksheet – Adult” and take it to your interview. Take the Checklist items and information to your appointment or have them with you if your appointment is by telephone. You should keep your appointment even if you do not have all of the information. Social Security will help you obtain any missing information. You should also complete the Medical and Job Worksheet to prepare for your in-person or telephone appointment, or when filing online. This Worksheet is not an application for Social Security disability benefits. It is meant to help you fill out the application for benefits. Medical Conditions: You should list all of the physical or mental conditions (including emotional or learning problems) that limit your ability to work. If you have cancer or any other condition that is measured in stages, you should include the stage and type. If you are not working, list the date you stopped working. Your height without shoes in feet and inches. Weight without shoes in pounds. Medical Sources: You should list any doctors, hospitals, clinics, therapists, or emergency rooms you have visited because of your conditions. For each medical provider, you should list the name of the provider, address, phone number (with area code), the date you were first seen (or admission date), and the date you were last seen (or discharge date). Medicines: You should list any medicines you take, why you take them (for which medical condition), and the prescribing doctor’s name. Medical Tests: List any medical tests you have had, or are going to have in the future. For each test, you should also provide the type of test, the name of the doctor who ordered the test, and the date(s) of the test. Job History: List the jobs (up to the most recent 5) that you had in the 15 years before you stopped working. For each job, you should list the job title, type of business, dates worked, number of days worked per week, hours worked per day, and rate of pay. Armed with the above documents and information, you are well-prepared to file your claim form for disability. It is strongly recommended that you have someone such as an attorney experienced in handling disability claims go through your application with you. Mr. Ortiz is a Board Certified Social Security Disability Advocate Attorney and offers free case evaluations. Call today at 850-308-7833 for your free consultation.